For those who love the wind in your hair, and for those who need a little help for carsickness, innovators have got ideas just for you. Audi’s new convertible could be a flash in the pan, or it could get left in the dust, but Uber’s new idea to help those with motion sickness could lead to popularization of their next big thing—driverless vehicles. Privacy in medicine, yes even in sports medicine, makes the news as well as a few patent no-nos. It all goes to show you need to get your idea patented first… as long as it is definitely patentable. Come on. Even soccer moms want to be cool and experience that nice fresh air on a beautiful spring day. But it’s not been a possibility before because that open area in the back with all the kids’ equipment would cause too much drag. Audi may have found a way around that obstacle with their patent for a hardtop convertible SUV. The roof separates into 3 parts, with the center and back sections lowering to cover the open space in the back of the vehicle. Is this new automobile on the verge of appearing? Not likely, but keep your eyes peeled. Uber’s recent patent application shows that they are serious about getting their self-driving vehicles on the road soon. They have just patented eyewear that uses sequential lights to give a rider a frame of reference while riding as a passenger, since the self-driving cars planned by the company will likely keep the rider facing away from traffic. These glasses, made portable instead of embedding the same technology in the car, could become essential to the nearly half of adults who experience motion sickness in moving vehicles. A patent applied for in 2015 by the University of Alabama has finally been issued. While 3 years might not seem like a long time, the patent in question was for an idea that has literally been popping up on football fields through the country. The idea? The SidelinER—the pop-up exam room tent players are taken to during a game to get a fast diagnosis when something has gone wrong. The premise of the idea was to add medical privacy for the player and the doctor as the athlete gets checked out. In the age where every football game is televised, privacy had been a serious issue. Because the solution is so easy, the SidlinER could become a new standard for sports medical treatment, possibly seen in the military as well. A company by the name of REAL (Real Estate Alliance, Ltd.) was recently brought to district court for a claim that two of their asserted patents were invalid in Section 101. The company had been trying to patent the process of conducting broad real estate searches on the internet. Under Alice 2, the judge ruled that their premise was not inventive based on the use of generic computer features and database creation. So now you can feel free to search the internet all you want for your dream home without worrying about patent infringement. A legal dispute between Honeywell and Code Corp. has ended in settlement. The suit referenced certain barcode scanning readers that used technology Honeywell had patented. Code is a company that manufactures barcode readers, and Honeywell believed they had incorporated their protected technology in their devices. Two of their patents were specifically cited as being infringed upon. In the settlement agreement, Code will not only pay a hefty lump sum up front and a royalty on existing machines, but must also revert back to previous designs of their readers that do not use Honeywell’s design. 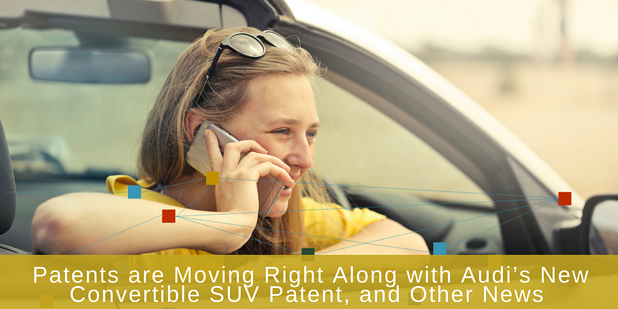 Takeaway: The do’s in patenting include finding new technology that is specific and innovative, solving problems that society needs. The don’ts? Don’t lift it from someone else. Discover how in-depth knowledge of patent news could help guide your company in the right direction. Get in touch today!